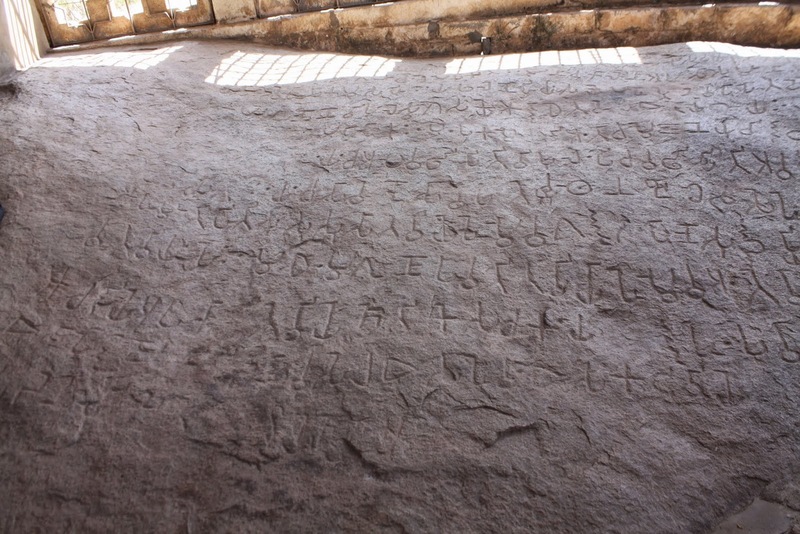 After having an adventurous time at Jating Rameshwara we went in search of the Ashokan edicts of Ashoka Siddapura. 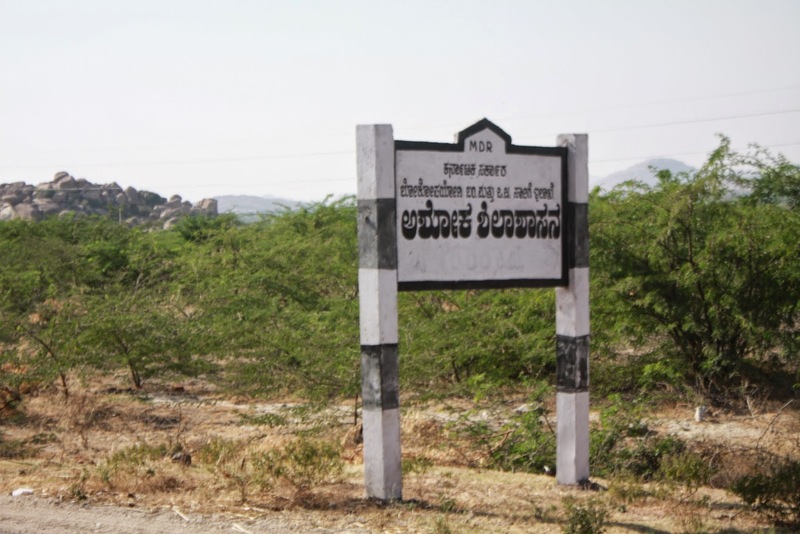 The locals here on inquiring directed us towards another site of the same kind at Brahmagiri, which was supposedly much easier to locate than Ashoka Siddapura. 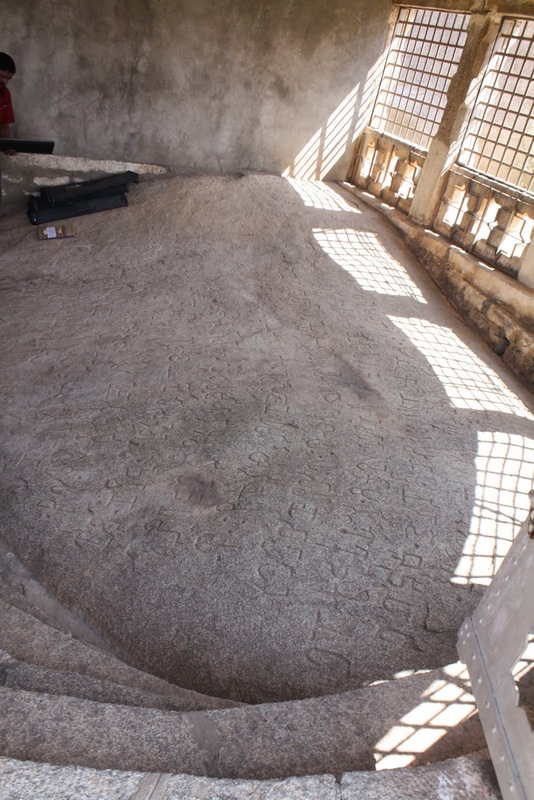 (The edicts of Ashoka Siddapura is situated in the interiors, far away the village and is not very popular as the Brahmagiri among locals). At Brahmagiri, we were greeted by the ASI care taker who volunteered cheerfully to be our guide for the afternoon. 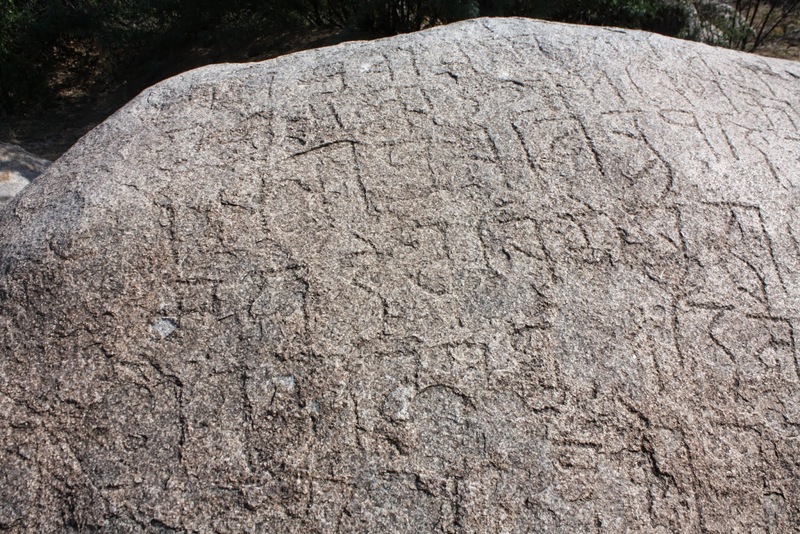 First, we visited the edicts of Brahmagiri, one amongst the best preserved and maintained Ashokan edicts in Karnataka. The symbols of the script are quite clear. He then showed us the translated meaning with the message it carried. The edict here generally speaks about peace and kindness to be shown towards all living beings. 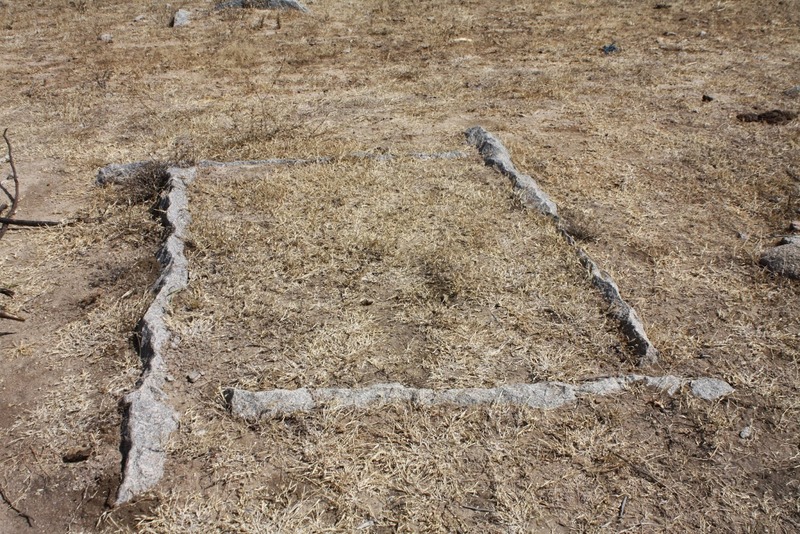 After carefully examining the edict, our guide took us to an ancient grave yard. 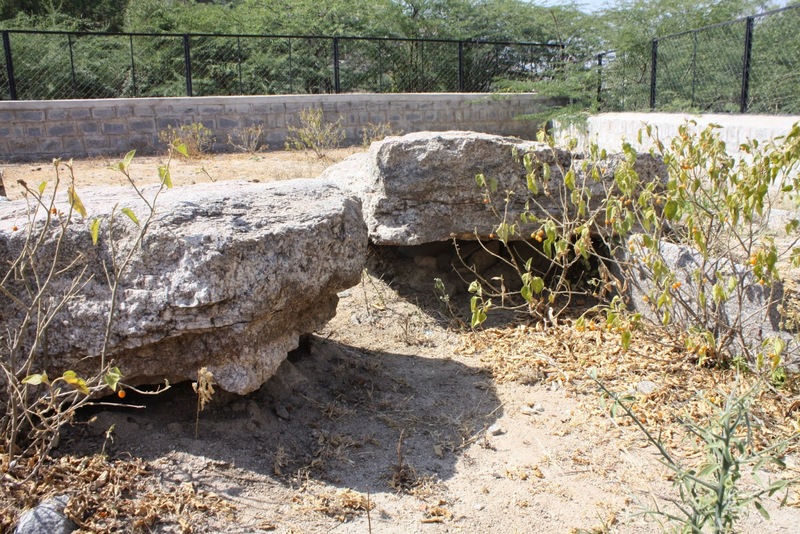 Here we were able to witness a huge number of Dolmens belonging to the 2nd century BC, attributed to the Mauryan Empire. 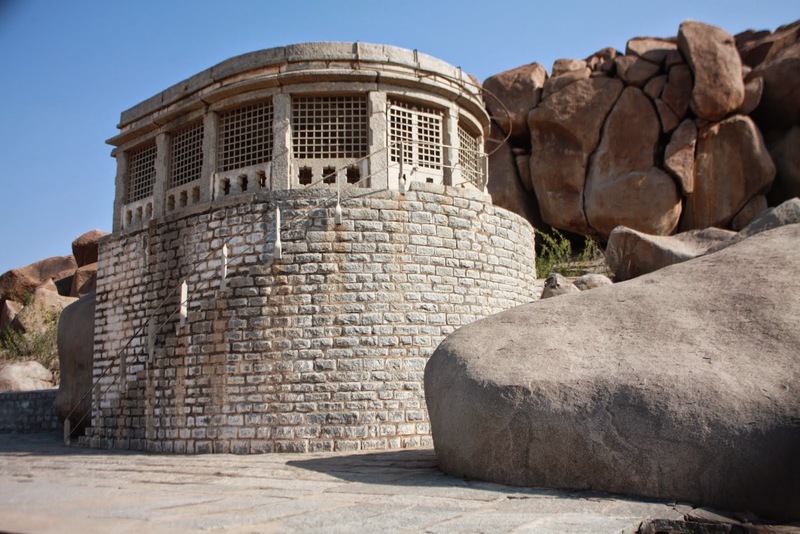 The ASI has built a compound in order to conserve these structures, few of which are intact. 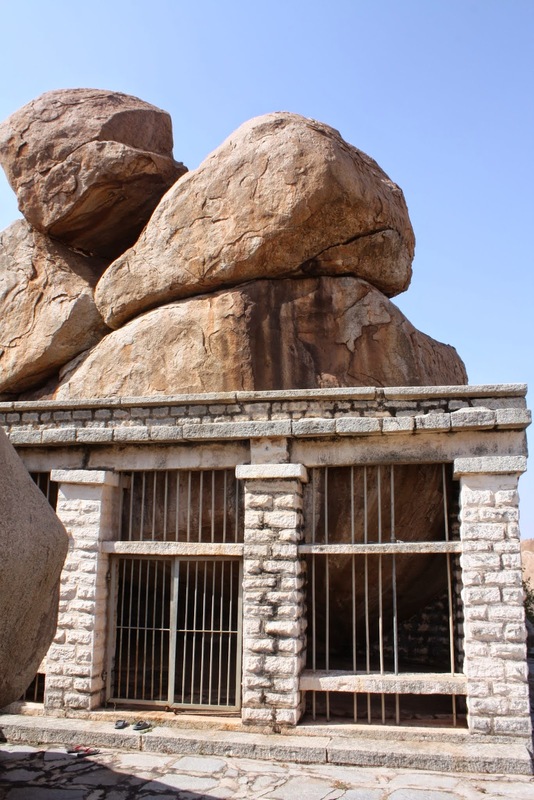 Though, beyond the compound limits, there are many such dolmens waiting to be preserved. 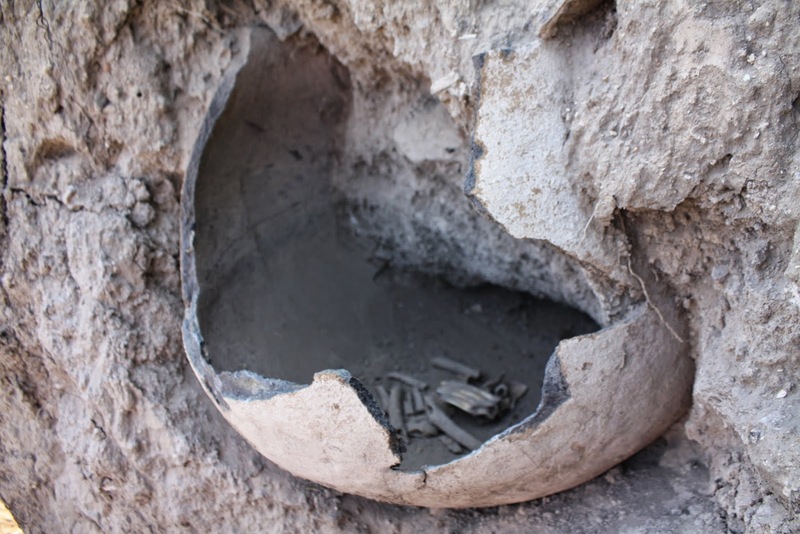 Hereon, we were privileged to visit a place where accidentally, the ASI team discovered an URN burial (which is believed to be the grave of small children) as the ground had been washed away during monsoons.This discovery was accidental and intriguing. 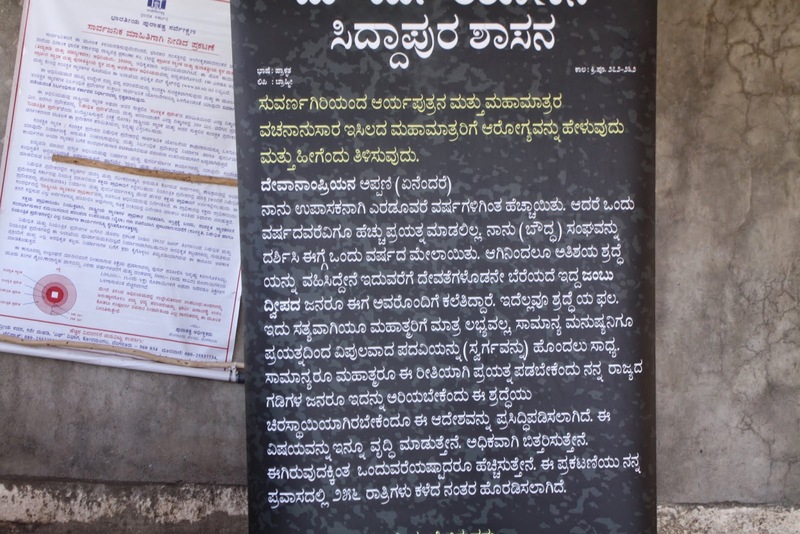 We next moved on to find the edicts of Ashoka Siddapura. Our guide was kind enough to join us along as he was much aware of its location. 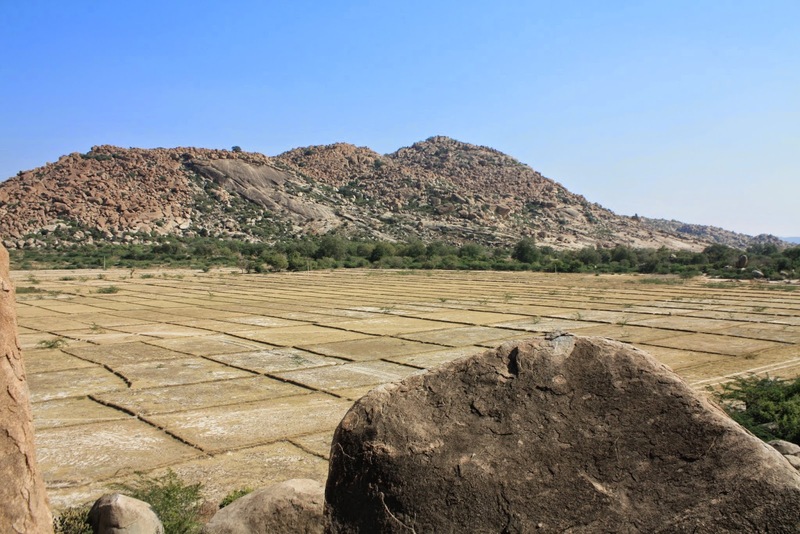 We had to walk about ten minutes though the fields to locate a cluster of boulders named as "Emme Thammana Gudda" on which the edicts are etched. Unfortunately, the edicts here are equally in a disturbed state as in Jating Rameshwara. They too spread the message of peace and kindness, though the size of was comparatively smaller to Brahmagiri. Without our guide, reaching this place would have been impossible. 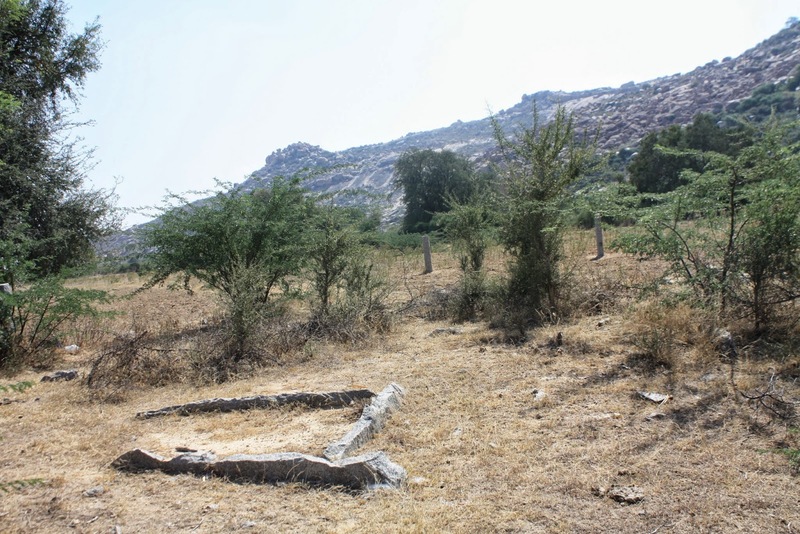 He gave us information about the recent findings of Hindi inscriptions just behind these boulders, which probably hints us of the existence/beginning of Jainism during that period. The presence of a Jain temple in this environ also enhances this feel. What a fascinating, interesting trip!! Such wonderful captures! Thanks for sharing! Terrific post and I really enjoyed reading about your adventure.!! Have a great week!! 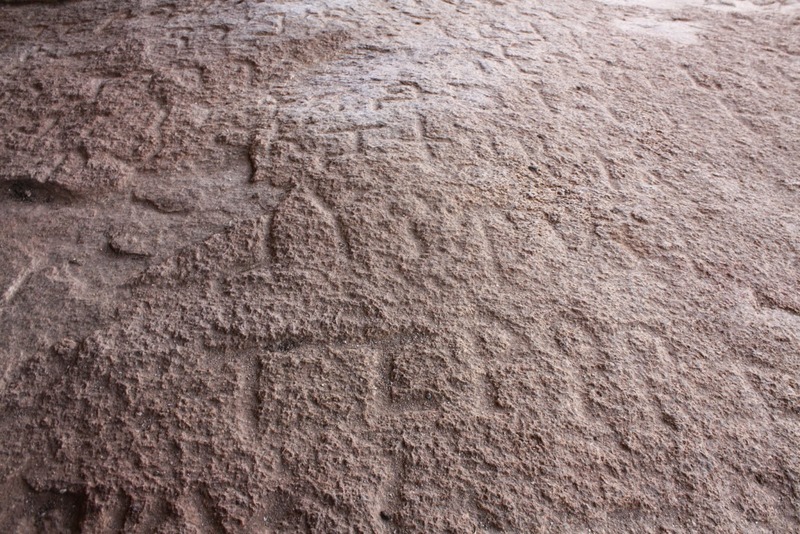 the ancient tombs and inscriptions are really neat! I think it's wonderful that you were met by such a knowledgable and helpful guide. What a privilege to be able to examine such ancient artifacts. Looks like the place is maintained so well. Wow, so interesting to see those ancient toms. Here in Nara, ancient toms remain. There is something mysterious in Hindi Inscriptions! !.Great treasure! Great find! Those edicts look intriguing and I love the message it spreads, much needed in today's era. Thank you for sharing!